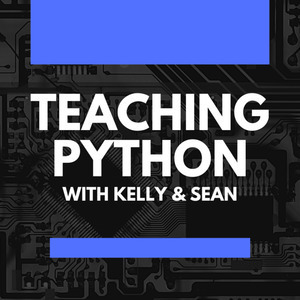 This week, Kelly and Sean review their top Python books for teachers. They cover everything from classics like Automate the Boring Stuff with Python and Invent Your Own Computer Games to the newest books like Impractical Python Projects and Coffee Break Python. If you're looking for a good book for your winter break, there's bound to be one that will suit you here. Brew up a nice cup of tea or coffee and take a paper-based break this week. Your co-hosts this week are middle school computer science teachers Kelly Schuster-Paredes and Sean Tibor. 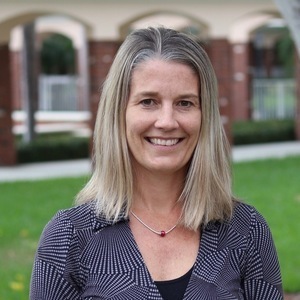 Kelly is an experienced international teacher who's learning coding and Python for the first time. 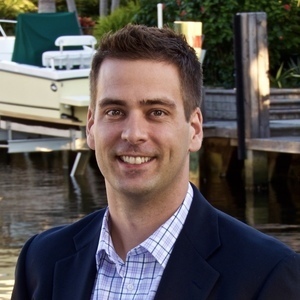 Sean is a technology professional that's teaching middle school for the first time. 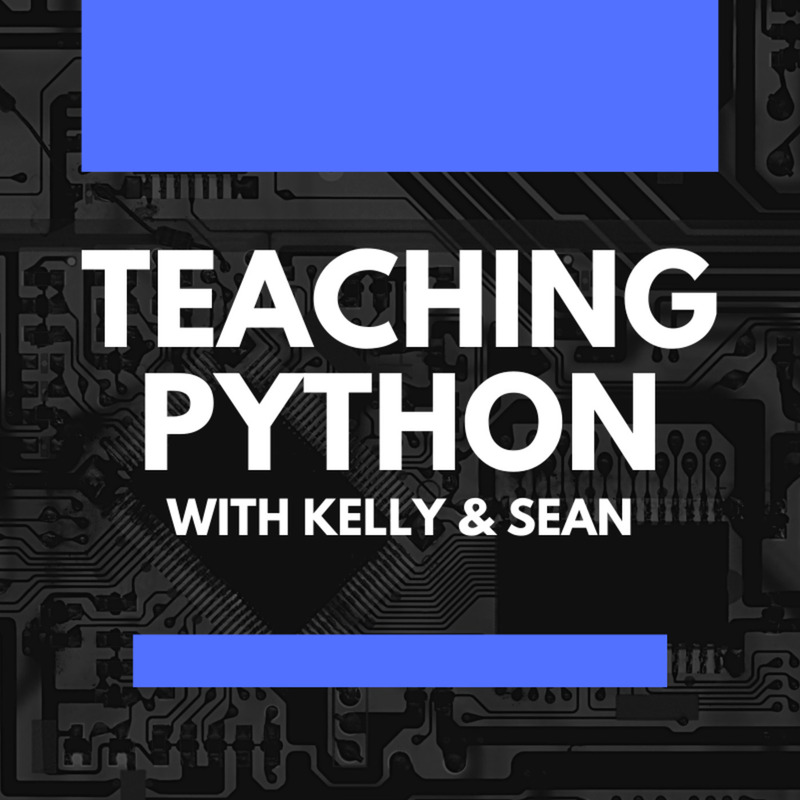 Each week, they explore resources, approaches, and best practices for teaching Python to beginner students. Automate the Boring Stuff with Python: Practical Programming for Total Beginners — If you’ve ever spent hours renaming files or updating hundreds of spreadsheet cells, you know how tedious tasks like these can be. But what if you could have your computer do them for you? In Automate the Boring Stuff with Python, you’ll learn how to use Python to write programs that do in minutes what would take you hours to do by hand—no prior programming experience required. Once you’ve mastered the basics of programming, you’ll create Python programs that effortlessly perform useful and impressive feats of automation. Coding Projects in Python — Using fun graphics and easy-to-follow instructions, this straightforward, this visual guide shows young learners how to build their own computer projects using Python, an easy yet powerful free programming language available for download. Coffee Break Python: 50 Workouts to Kickstart Your Rapid Code Understanding in Python — Coffee Break Python is a new step-by-step system to teach you how to learn Python faster, smarter, and better. You do nothing but solving one practical Python puzzle as you enjoy your morning coffee. Doing Math with Python: Use Programming to Explore Algebra, Statistics, Calculus, and More! — Doing Math with Python shows you how to use Python to delve into high school–level math topics like statistics, geometry, probability, and calculus. You’ll start with simple projects, like a factoring program and a quadratic-equation solver, and then create more complex projects once you’ve gotten the hang of things. Impractical Python Projects: Playful Programming Activities to Make You Smarter — Impractical Python Projects is a collection of fun and educational projects designed to entertain programmers while enhancing their Python skills. It picks up where the complete beginner books leave off, expanding on existing concepts and introducing new tools that you'll use every day. And to keep things interesting, each project includes a zany twist featuring historical incidents, pop culture references, and literary allusions. Invent Your Own Computer Games with Python, 4E — Invent Your Own Computer Games with Python will teach you how to make computer games using the popular Python programming language—even if you’ve never programmed before! Begin by building classic games like Hangman, Guess the Number, and Tic-Tac-Toe, and then work your way up to more advanced games, like a text-based treasure hunting game and an animated collision-dodging game with sound effects. Along the way, you’ll learn key programming and math concepts that will help you take your game programming to the next level. Kaggle Pandas Tutorial — Pandas - Short hands-on challenges to perfect your data manipulation skills. Programming the BBC micro:bit: Getting Started with MicroPython — This easy-to-follow guide shows, step-by-step, how to quickly get started with programming and creating fun applications on your micro:bit. Written in the straightforward style that Dr. Simon Monk is famous for, Programming the BBC micro:bit: Getting Started with MicroPython begins with basic concepts and gradually progresses to more advanced techniques. You will discover how to use the micro:bit's built-in hardware, use the LED display, accept input from sensors, attach external electronics, and handle wireless communication. Python for Kids: A Playful Introduction To Programming — Python for Kids brings Python to life and brings you (and your parents) into the world of programming. The ever-patient Jason R. Briggs will guide you through the basics as you experiment with unique (and often hilarious) example programs that feature ravenous monsters, secret agents, thieving ravens, and more. New terms are defined; code is colored, dissected, and explained; and quirky, full-color illustrations keep things on the lighter side. Python for Tweens and Teens: Learn Computational And Algorithmic Thinking — Algorithmic Thinking involves more than just learning code. It is a problem solving process that involves learning how to code! This book teaches computational and algorithmic thinking by taking very seriously one thing for granted—that the reader knows absolutely nothing about computer programming!